Drag and drop local images. If you're adding images to your wiki, you can now drag and drop them into your wiki from your computer. JPG, GIF, PNG and BMP are currently supported. Check it out on one of your projects! Add files to your project wiki. 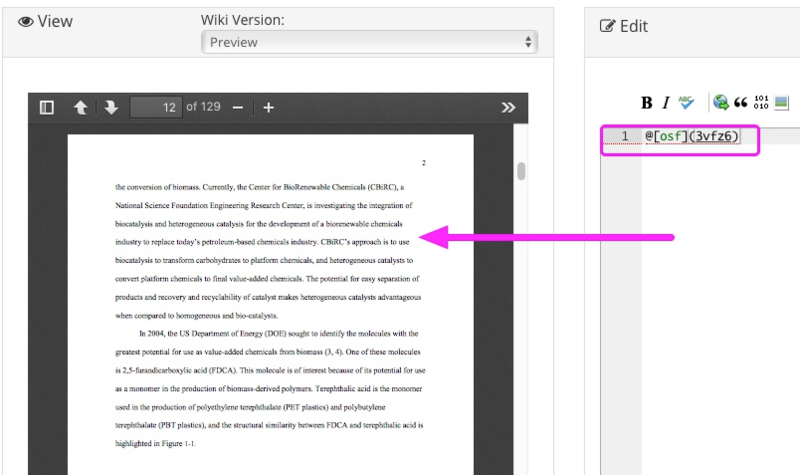 You can now embed a file in the wiki to describe your research for a preregistration, document a protocol, or simply collaborate better. 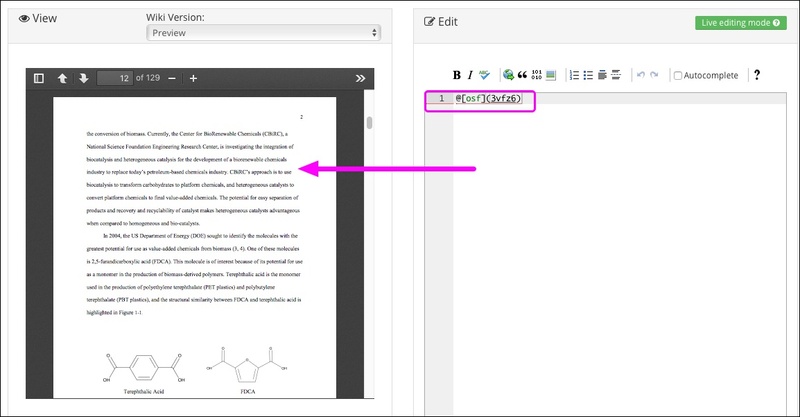 You can add PDFs, images, graphs, data files--anything you've added to the project that can be rendered can now be displayed in the wiki via Markdown. Try it on one of your projects today! To learn more about how to edit your Wiki and use these new features, visit our help page.